In this video we will unbox the Garmin eTrex 20, the middle range of the entry GPS units from Garmin. 2.2 inch screen, micro SD card slot, the unit comes with manual & USB cable. It does not come with the carabiner snap on attachment as found with Oregon or MAP 62 series. This model does not come with an electronic compass or other features that required additional setup. So as soon as you get the satellites, you are good to go. This unit reinds me a lot of the old Legend C series of devices. Of you are an old school garmin user, this will be familiar to you. In this video, I’ll show you how to do a master reset. This should erase all waypoints, routes, racks & geocaches on your device. It’ll be just like when you first got it out of the box. In this video, I’ll show you how to set an alarm on the Garmin eTrex 20. The alarm function will allow you to set a time when you want the device to turn on. 2. Set the time then press DONE. 4. Select to turn off the device NOW or LATER. Once the internal clock reaches the specified time, it will turn ON and the alarm tone will chirp, where you can either snooze or turn off. In this video, we’ll go over the steps required to update the firmware on your Garmin eTrex 20. This will require you to connect your device to your computer and download the update using Garmin’s Basecamp and Webupdater. Make sure you have the latest version of Basecamp & webupdater before you start. This will work on both PC or Mac. The recent version of Basecamp now is able to notify you when your device has an update. 2. Open Basecamp, once the application recognizes your device, you will see a notification on the top right of the screen. From here Garmin’s webupdater will open and will download the software and transfer to your device. Once done, disconnect the device and manually restart it. This will start the update process, this may take a few minutes. The device will finish updating the firmware once it restarts on its own and brings you back to the main menu screen. You can verify firmware version by going to setup | about. In this video, we’ll focus on the WHERE TO? 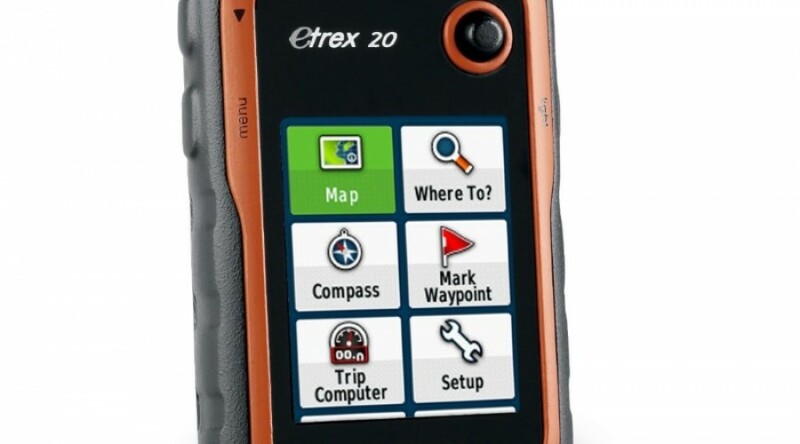 function, which will depend on what kind of maps you have installed on your eTrex 20. With the base map information, out of the box, you have a number of options. You can also access any geocoded photos. But out of the box you’ll be able to filter by: recent finds, waypoints, photos, tracks, coordinates, everything, cities or tides. By installing map products like topo, bluechart or birdseye, you will see more options. In this video, we’ll go over Routes on the Garmin eTrex 20. A route is a sequence of waypoints that you follow in sequence or in reverse. there are a few ways to setup a route, but from the main menu, simply go to ROUTES, then add the waypoints. After your route has been created, you can access it via a FIND or from ROUTE MANAGER. Select Route Planner | Create Route | Select First Point. 3. Select the first point in the route. 4. Select Use | Select Next Point. 5. Repeat steps 2–4 until the route is complete. 6. Select back to save the route. In this video, I’ll show you the easy way to install additional maps onto your eTrex 20. 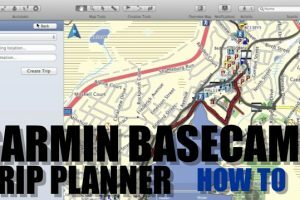 You can add topo, bluechart, birdseye and other garmin commercial products. You can also install custom maps and compiled maps like ibycus topo or openstreet maps. On your SD card, create a GARMIN folder and dump your maps into the folder (make sure you name them different. When you start up your device, just go to the MAP PAGE, HIT MENU and under MENU SETUP | MAP INFORMATION you’ll be able to enable or disable any of the maps you have loaded onto the SD card. In this video, I’ll show you how to average a waypoint. This is a function that is available when you mark a waypoint. The purpose is to take multiple samples of a location, and average the corrdinates. This might be useful if you do surveying work, or need to make sure that the coordinates are as good as possible. Hit MENU when marking a waypoint or access via the MAIN MENU | AVERAGING WAYPOINT. In this video, we’ll take a quick look at the Compass page on the Garmin eTrex 20. On the page, you have a few options: customize data fields and add change the course pointer. CDI (Course deviation indicator) can be a useful tool for those who does search & rescue, orienteering where you would want to know the drift (going off course) as you are navigating. You can customize the data fields on screen by selecting MENU | DATA FIELDS and selecting from the choices available. You can add up to 4 data fields. In this video, I’ll show you how to change units & position format. If you are a metric or Imperial person, simple way to change those distance settings. Also if you are working on maps, like surveying, search & rescue, police or fire work, you may need to adjust your unit to match the UTM format if you are working with a paper map. These settings can be restored to the defaults easy enough. If you are just doing geocaching are simple hiking, you have no need to change the position format. In this video, I quickly compare the MAP62s and eTrex 20. If you are an old Legend C user, then the eTrex will be very familiar to you. The interface and menu options is similar, much like on the MAP 62. So getting up and running is pretty easy. Smaller screen, similar display quality – just a bit chunky in terms of the response times when using the unit, especially when loading a larger custom MAP on the SD slot. Overall, for under 200$ CDN, it’s not a bad unit to get started with, the USB connector will allow you to transfer waypoints & maps no problem. In this video, I’ll show you to customize the icons that appear on your main menu screen. You may only use a few functions and don’t need to be scrolling up or down all the time. This video will show you the steps. From here you can add or remove items from the list and re-order them. By hitting on the MENU button, you can REMOVE ALL or RESTORE DEFAULT. In this video, I’ll show you how to change the data fields for the map, compass & trip computer pages on your eTrex 20. On each page, you can hit the MENU button and select CHANGE DATA FIELDS. From there, just select the field that you want. For pages with multiple fields already displayed, once you start to change the data field, you are then able to select the specific field as it will be highlighted. Once your data field is chosen, hit BACK will lock in your choice. You can revert to the default by hitting MENU and RESTORE DEFAULTS. In this video, I’ll show you how to change the page sequence on your eTrex 20. Page sequence is sorta you quick access list when hitting the BACK button on the device. For every item you add, its icon will be removed from the MAIN MENU. From here, just ADD A PAGE. You can Move, remove or RESTORE DEFAULTS.